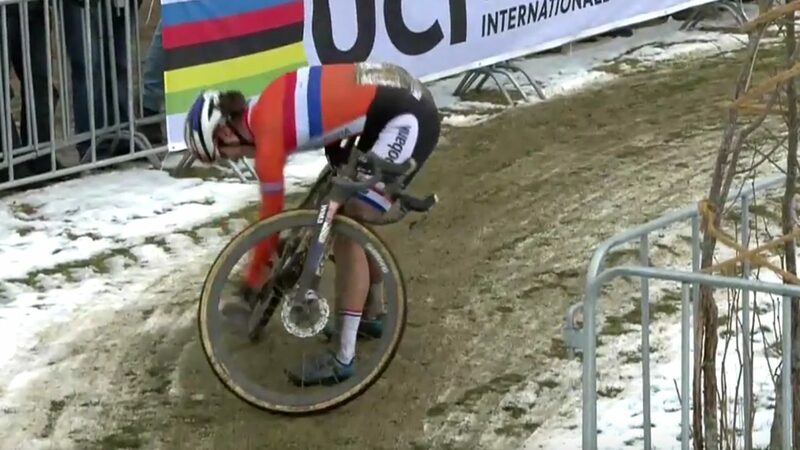 Nothing can ruin a cyclocross race faster than a mechanical. Sure, some mechanicals are the result of bad luck, but many are eminently preventable via proper bike maintenance. One of the most common victims of preventable mechanicals is the drivetrain. Dropped chains, snapped chains, jammed chains; they are all common race-marring issues for cyclocross riders. With the new season underway, preparing for a season of proper chain and drivetrain maintenance should be on the mind of all riders. 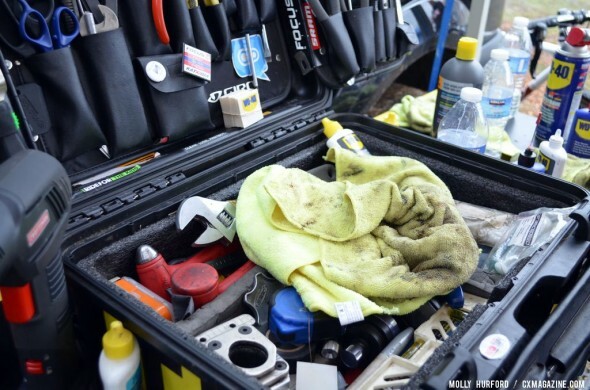 For today’s Mechanical Monday, we went straight to the source and asked three professional mechanics to dish on how they keep their riders’ machines in peak working order during the season. Mike Berry has been a mechanic for 25 years and has been with the Cannondale Cyclocrossworld.com team for the past 5 years; Brandon Davis is a mechanic with Aspire Racing and serves as Ellen Noble’s wrench; and Mark Legg, aka Mr. Katie Compton, works for Compton in the pits while she is out racing. With so much experience and knowledge, these three wrenches are here for an Ask the Mechanic segment that is, as they say, off the chain. 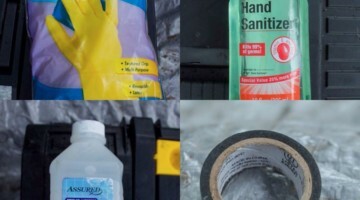 Cyclocross Magazine: Do you use different chain lubes depending on the weather and course conditions? Wet, dry or wax? Mike Berry: We primarily stay with a dry lube during dry conditions and a wet lube during nastier conditions. Dry lube works well when it’s dry and dusty because it helps things stay clean. With fewer—if any—bike changes in those conditions, keeping the chain lubricated for the hour is important. 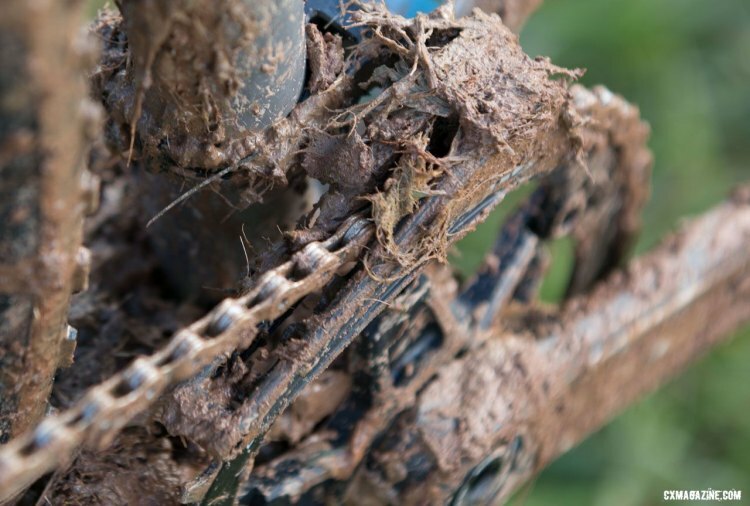 However, with frequent bike washes in wet, muddy conditions, what chain lube you use is less important. After a pit bike wash, we typically spray the chain with a “water displacer” to keep the chain from staying wet, but knowing it’s going to be back for another wash in a lap, lubing the chain isn’t as critical as just removing the water. 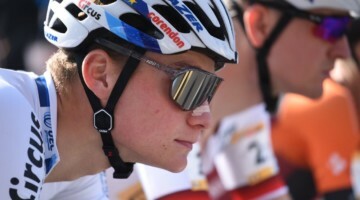 Brandon Davis: In season, I love the WD40 Bike line. They make it fool-proof with Wet or Dry chain lube. When you use their whole system with the degreaser for those post-race and pre-ride washes, clean up and reapplication is a breeze. Mark Legg: I use three different chain lubes by Pedro’s. We’re very fortunate to be working with a company that not only makes fantastic tools but also produces chain lube that works extremely well for cyclocross. I use X-Dry at the start of the season for dry races. It doesn’t pick up dust and dirt like a traditional “wet lube,” and it also prevents chain shear by penetrating the chain and keeping it lubricated. It works great on dry courses like Koksijde where a wet lube will attract a lot of sand onto the chain and kill chain performance. I use Enduro lube for races that may have some water or light mud on course. It’s not a messy lube, which is good for most riders who don’t have time to constantly wipe the black nasty off their chain after a little bit of use. I use Syn lube for heavy mud races and conditions where the temperatures fall below freezing. It sticks to the chain extremely well, so it doesn’t wash off during a hard muddy race. I’ve found using a wax-based lube for freezing conditions greatly decreases chain performance. The chain doesn’t move well when the wax lube hardens in below-freezing conditions. CXM: If you do use different lubes, do you change chains when you change your lube or just clean it really well? BD: Even brand-new chains get degreased and re-lubed with WD-40 Bike product. ML: I use Pedro’s Pig Juice degreaser to clean chains between lubes. It works well and it’s not toxic for the environment. I hate seeing mechanics using toxic cleaners or diesel to clean chains. It’s terrible for our environment and it further contaminates our drinking water. If I don’t have any Pedro’s cleaners available, I use Laundry powder—except Belgian laundry powder, it’s too weak—for cleaning chains. Pour a little on a wet brush and scrub away. It works extremely well for cleaning dirty chains and it also works great for cleaning oil and grease off your hands. It’s easy to wash off so it doesn’t leave any residue which contaminates your future chain lube. This is a common issue for most degreasers; if you aren’t able to thoroughly remove it from the chain, you end up with contaminated chain lube that doesn’t perform as well as you expect. MB: We don’t change chains if we change lube types; a thorough degrease of the chain will remove all traces of whatever lube was on it. CXM: How often during the season do you replace chains? How do you decide? Measure wear or if really dirty or sandy? ML: I go through more than 20 chains per season for Katie. The chains don’t wear out, they become so contaminated with sand in Belgium that the chains are too crunchy to train and race on. For example, after Katie pre-rides Koksijde, I replace the chain with a fresh chain I’ve decreased and lubed with Pedro’s X-Dry, which doesn’t pick up as much sand as the stock lubrication. 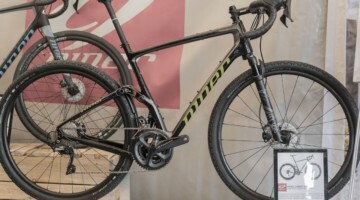 I never replace chains due to wear, only because of contamination that decreases performance and is very distracting to race on due to the sand crunching inside the chain. I’ve tried a number of cleaning methods over the years to remove sand from chains but nothing has worked. MB: We will replace chains fairly frequently when the races are muddy or nasty. Dry and dusty not so much, just keep them clean and well-lubed. As for wear, most chain wear indicators measure only “stretch” or roller and bushing wear, but we rarely wear out chains in that direction. We only use SRAM Force 1x drivetrains and with the X-sync wide/narrow chainrings, you see more lateral wear, meaning the tightness of the chain at each pin will open up, and you start to see decreased shifting performance because the chain isn’t as laterally stiff. This will be the main reason we will change a chain. BD: That’s one of those “it depends” answers. If the bike is shifting fine and really only seeing race use and not daily training, then usually I’ll only replace the chain and cassette for major races or World Cups. Otherwise, if it’s not broke don’t fix it. With all the bike changes and wheel swaps though it’s minimal at best. For the weekend warrior who may be bouncing between race wheels and training wheels, I’d recommend keeping a chain that matches the wear of the cassette on each set of wheels and swapping drivetrains when race wheels go on and vice versa for training. 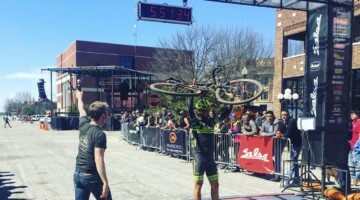 CXM: What methods and materials do you use to clean chains between races? On the bike? Off the bike? Do you use a chain cleaner device? MB: We are excited to partner with Pedro’s this year for lubes and degreasers. Pedro’s Degreaser 13 is an amazing product. It does a fantastic job at keeping the drivetrain clean without using a ton of product. We have been utilizing their Chain Pig and Pig Juice to help really get a chain clean. For a less involved chain cleaning, a stiff bristled brush with some Degreaser 13 on it works awesome. We typically do not remove the chain to clean it; it’s always done on the bike. BD: Since Focus uses the R.A.T. (Rapid Axle Technology) system, I take the wheel off of a chain dummy tool by Park (the DH-1) and run it on the axle. Then with the chain on and a stiff parts cleaner brush, I apply WD-40 Bike Degreaser pretty liberally all over, being sure to get rollers and inner and outer plates thoroughly. Then I let that sit and eat the grime while I wash the wheels, but the chain never comes off the bike. ML: Pedro’s Pig Pen. It works super well. I’ll even use it in sand races in Belgium to help scrub the sand out of the chain. If I don’t have one handy, I use cheap stiff bristle brushes from the Dollar store to scrub the chains either using Pedro’s degreaser, Pedro’s Green Fizz 16x bike wash or I use laundry powder on a brush and scrub away. 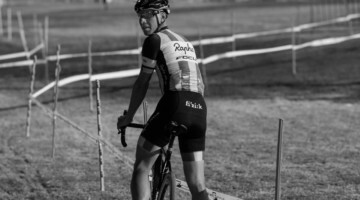 CXM: What are the biggest mistakes you see riders make with respect to chain maintenance, both amateur and professional? BD: Mainly lack of care. People don’t realize how power sapping a greaseball drive train is. Another thing is being sure to get the gunk off the pulleys and keep them running smoothly. If you can’t put your finger on the pulley without the chain touching it, you are definitely losing watts. ML: All too often the chains are usually not lubed and wiped down with a paper towel or rag between rides or races. 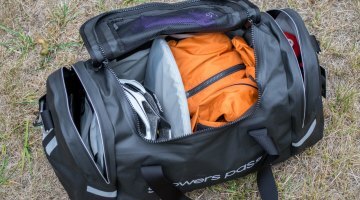 I think this is a common issue for all bike riders. Not lubing the chain often, which increases chain life and decreases chain wear, and not wiping the chain down often enough to remove excess dirt and dust. Just because your chain is looking black and oily doesn’t mean the chain is optimally lubricated. Lack of fresh lube and not cleaning your chain a minimum of once per week leads to excess drivetrain wear and a decrease in performance. At worse, run a little dry lube over the bike chain every other ride and wipe it off with a rag or paper towel if you aren’t going to spend the time to wash the chain a couple times a week. MB: Dirty chains are a death sentence. All that grit and dirt just wears chains out. Using a chain cleaner like the Chain Pig is a simple way to clean your chain; it doesn’t make a lot of mess and you can even use it indoors. Most people also over lube their chains. A heavy wet lube that is over applied is only going to attract dirt and wear things out faster. 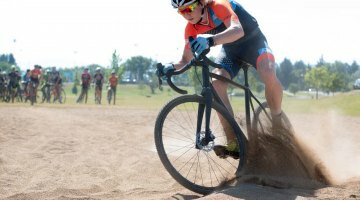 CXM: What should amateur racers be doing during the season to ensure their chain and drivetrain are kept in optimal condition? ML: Clean your chain, clean your chain, clean your chain. Lube it with a lubricant that works for your riding environment. If you live in a dry place and ride in sand or dusty trails like we have here in Colorado Springs, use a light dry type of lube. 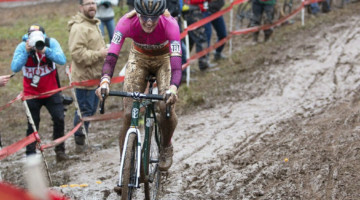 If you ride in the rain or the bike sees its fair share of mud riding, then use a wet lube. There’s no better way to reduce wear and tear on your drivetrain than to clean it often. It looks pretty and pro and it saves you money. You can even multitask and listen to a Crosshairs Radio podcast while you’re cleaning your chain to catch up on bad humor and a bit of cyclocross race action. MB: Using a chain cleaner is a simple way to keep your drivetrain clean. A clean chain will make your bike look better, shift better and just feel faster. A clean bike and drivetrain is also a great way of knowing if something is wrong. 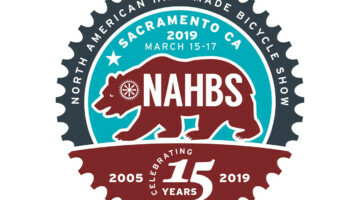 No one likes to have issues out on a ride and so some preventive maintenance not only keeps that from happening, but it also allows you to look at your bike and see if anything is going to be an issue later. If you clean your chain and drivetrain somewhat regularly the process goes much faster as well. BD: At a minimum, they should thoroughly degrease and clean their drivetrain before and after races. 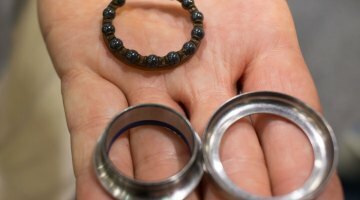 This thorough cleaning is a great way to spot abnormal wear such as a stiff link or worse, a broken one. 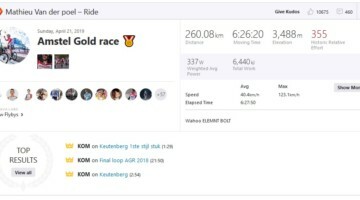 Nothing is more frustrating than putting in all that work training only to have a small detail take you out of the race in a big way. 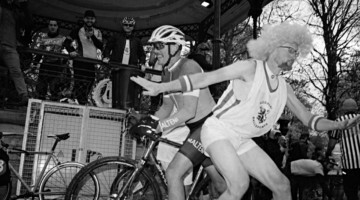 Ideally, your bike should get a good bath after dirty or rainy training rides as well. The cleaner you keep your bike, the longer your maintenance intervals can get. After all, you like a bath after a race or day of ripping dirt trails and your bike does too. CXM: Is the price premium on top-end chains worth it or for riders on a budget, are they better off buying cheaper chains and replacing them more often? MB: If you run a 1x system or often cross-chain, replacing your chain more frequently will improve the shifting performance as well as keep the “wear” down, allowing your cassettes to last longer. It is a win-win to replace chains more frequently. Top-end chains have their place, but if you are on a budget, an entry to mid-level chain will do a great job as well. 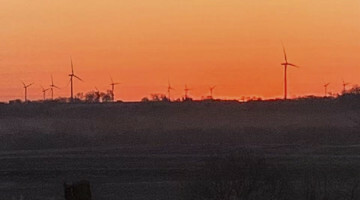 BD: Unless you are lucky enough to be sponsored, I always recommend friends and personal clients buy the best their wallets allow, but more often than not, mid-grade equipment provides the best bang for the buck for the workingman’s setup. Beyond that, you are just reducing weight in exchange for longevity. 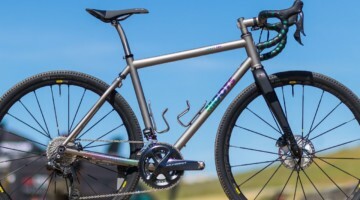 That sweet $100 ti-nitrde slotted Shimsramangnolo chain will be stretched and blown in double time compared to the slightly heavier option at half the price. 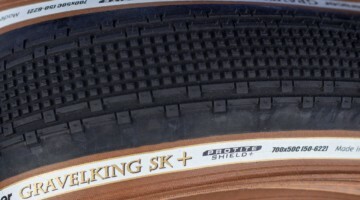 ML: There are a lot of really high-performing chains on the market that work fine for Cyclocross. We run KMC because that’s what I choose to run for Katie’s racing. 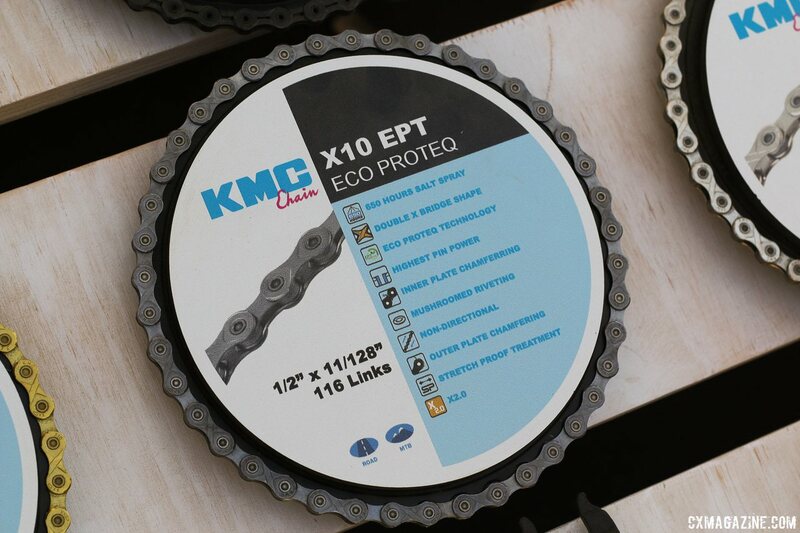 I obviously have a lot invested in running KMC chains, but there are some great performing chains on the market. 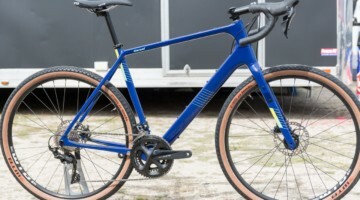 Since cyclocross places extraordinary stresses on chains I’d suggest running a quality mid-range chain and skip the high-end lightweight chains. You’re going to replace your chain a couple times during the season so there’s no need to drop a lot of money on chains. 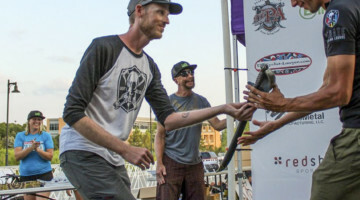 The shifting performance between most high-end and next-level-down chains is generally difficult to notice while racing. Just keep it clean and watch those shifts under extreme load—that’s where you see the majority of chain failures. Also, keep in mind, historically the weakest section of chain is where it is joined together; that’s where you see common failures from installing the chain imperfectly. CXM: Is there a difference in wear on a chain between a 1x and double chain ring system? BD: I find that because most people shift up and down the cassette more with a 1x system, the chain and cassette seem to wear very evenly and as a result, you can squeeze more miles out of them. Again this is also dependent on regular bike washes and of course, proper initial installation. ML: We don’t run 1x. It increases the stress on the muscles due to the large cadence changes between gears, and you have to constantly trade off between ideal gear ratios for climbing and fast sections. Shifting chainrings isn’t complicated when you use good technique and good drivetrain materials. 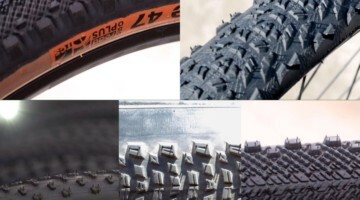 MB: As discussed above, with 1x systems and doubles where the rider frequently cross-chains, you will start to see more lateral wear and decreased shifting performance because the chain isn’t as laterally “stiff.” A chain-wear indicator may show little to no wear, but there may still be a lot of lateral wear. Put the chain in the middle cogs, hook your finger over the chain above the chainstay and gently pull it towards you; if you notice it pull past the outside of the chainstay, that’s showing a lot of lateral wear. CXM: Do you mix and match brands? 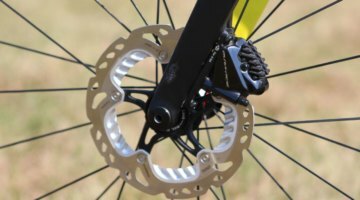 KMC on SRAM or Shimano, or Shimano on SRAM or vice versa? ML: I run KMC chains on Shimano drivetrain with Wickwerks chainrings. 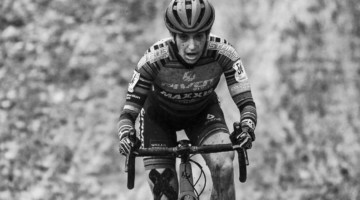 I’ve mixed and matched drivetrain brands since Katie as far back as when Katie won her first US Elite National Championship. MB: We are a SRAM sponsored team, so we run SRAM PG-1170 cassettes and Red 22 chain. We have great luck with this combination. But if you run Shimano cassettes, you should run Shimano chains. You will always get the most performance from your drivetrain if you mate the chain with the cassette. BD: The team answer to this is no, we always use SRAM and that is the only way to fly! 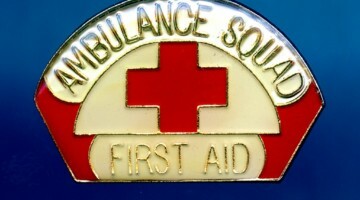 The other answer is you can run KMC on virtually anything in the industry. The bike snob answer is to keep it matchy matchy. Check out all our bike maintenance advice in the Mechanical Monday archives.